From a practical standpoint, upper structures allow you to easily remember voicings for complex altered sounds in all 12 keys. 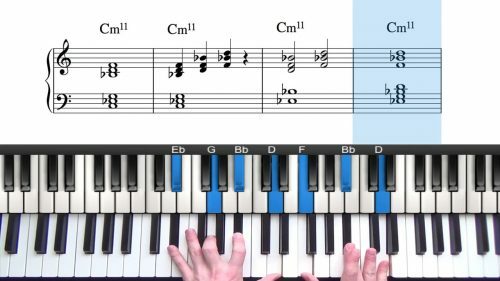 Ultimately, thinking of the lower and upper structures of the chord separately provides a shortcut as our brains have to process less pieces of information to get the same chord. What Are Upper Structure Triads? Upper Structure Triads are complex altered dominant chord voicings. The core components of an upper structure triad is the tritone interval in the left hand and a triad in the right hand which outlines the altered and extended tones of the dominant chord. The lower structure of the chord always contains a tritone interval. This tritone interval in the left hand is what gives the chord its dominant quality. The lower structure is illustrated on the bottom stave. Now aside from the fact that they sound fantastic, there is reasoning behind the use of upper structures. By looking at the upper structure of the chord separately, we can simplify complex altered dominant chord voicings and internalise the extensions and alterations that are achieved from triads built of certain scale degrees. From a practical standpoint, upper structures allow you to easily remember voicings for complex altered sounds in all 12 keys. For example when you see a chord symbol for a C7alt chord, it will take you a moment to think "right, altered means #9 b13 so that means I need to raise the D to D# and flatten the A to Ab" , whereas, if you know that playing a major triad off the b13 (or flat 6) also gives you those two alterations, you can get that altered feel to the chord quickly and easily. So to summarise, instead of having to think of each extension or alteration individually, we think of certain triads which we know contain those tones. 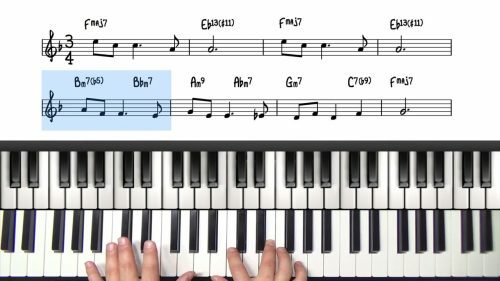 The tritone interval in the left hand can be played in either inversion — where you’re coming from and where you’re going will determine the best inversion to use to ensure smooth voice leading. 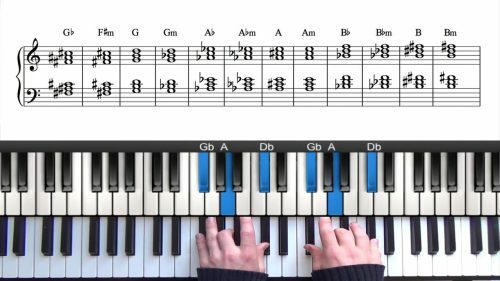 Avoid doubling the 3rd and 7th of the chord in the left hand. These tones do not need to be doubled as it is already a very harsh, dissonant sounding interval. However be aware that if you are playing with a bass player they will have the root covered. You can double notes at the top or bottom of the upper structure — this will always sound good and adds more of a punch to the chord. Doubling the melody note at the bottom of the upper structure triad will also accentuate the melody. Upper structures sound the strongest when the triad is played in its second inversion . This doesn’t mean that you are restricted to this inversion but be aware that this will create the strongest sound. You are not restricted to just one upper structure – Also sounds good if you play multiple triads on top of the tritone in close succession. Moving from #5-#9 to b9-#11 is actually a very common movement as you hear all of the possible alterations (b9, #9, #11 and #5 which is enharmonically equivalent to b13).